A former York-Adams League girls’ basketball standout enjoyed the best game of her Big Ten career on Sunday. 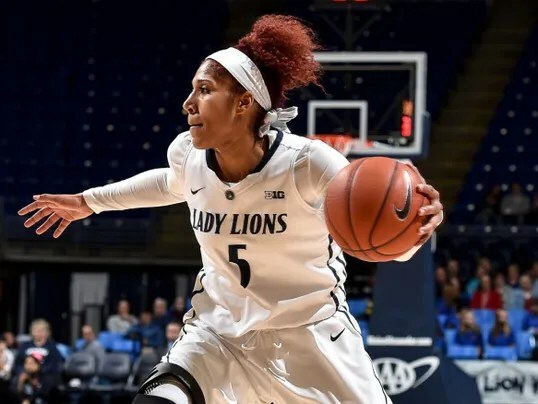 Delone Catholic High School graduate Sierra Moore poured in a team-high 19 points to lead the Penn State women’s basketball team to an 82-66 triumph over Illinois. Moore finished 6 for 9 from the field and was 7 for 9 from the foul line. She also had four rebounds and two assists. For the season, she’s averaging 9.3 points and 4.4 rebounds per game, while shooting 51 percent from the field and 61 percent from the free throw line. The PSU women improved to 11-1 at the Bryce Jordan Center. The Lady Lions are 14-7 overall and 4-5 in the Big Ten. Illinois fell to 8-14 and 3-6. Kaliyah Mitchell (16 points), Teniya Page (12 points) and Lindsey Spann (10 points) also hit double digits for PSU.